Tenth Tacoma Homicide of 2014: Michael Ward Jr. It was hot last Saturday night in Tacoma. Long after the sun went down, it was still 80 degrees on one of the last days of summer. Sometime around 4am, police arrived at South 39th and Yakima Avenue responding to reports of gunfire and found the body of 32-year-old Michael Ward Jr. He’d been shot. Police canvassed the area and roused an afterhours place run by a local motorcycle club. As of this writing, no suspects or witnesses have been located. This is the third Tacoma homicide near an afterhours party since 2011. And the second homicide on the South Side of Tacoma in the last nine days. It’s also Tacoma’s tenth homicide this year. Unfortunately there isn’t much information about Michael that I could find. And this is why I have the comments section for this site. It is reserved for those who knew Michael and want to share memories of him. Police are asking for anyone who saw anything or knows anything about this shooting to contact them at 253-798-4721. My thoughts go out to his friends and family. I’m sorry for your loss. 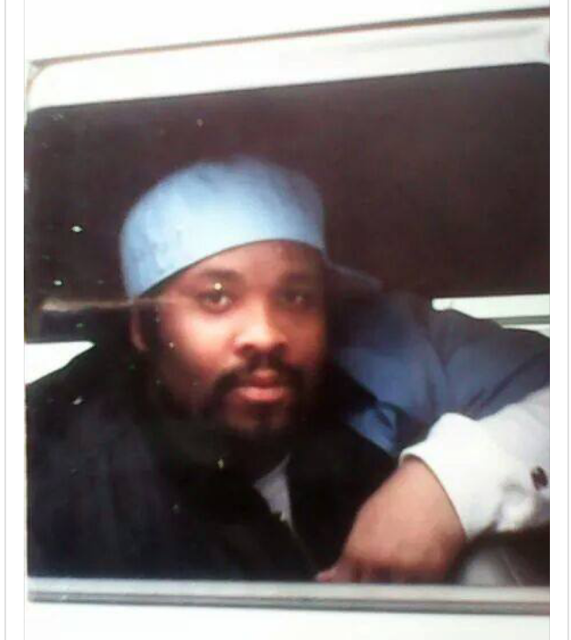 This entry was posted in Tacoma Crime, Tacoma Homicides and tagged Michael Ward, Michael Ward Jr., Tacoma Homicide. Bookmark the permalink. DON’T TRY TO CLEAN IT AFTER YOU BASH MY CUDDY. NUMBER ONE YOU SAID CHARGES GOT DROP. SO WHY YOU BRING THEM UP? WHY YOU DIDN’T REACH OUT TO OUR FAMILY FIRST TO KNOW WHAT TYPE OF MAN HE WAS? OR TO GET A BETTER PICTURE INSTEAD OF USING A JAIL PICTURE? TRY AGAIN WITH YOUR SLANDER. ……. I tried to find family online and was unable to. If you have more information and better photo, I’ll be happy to put up the better photo. I can only use the information I find online and through other people. I’ve taken down the photo I had out of respect of your request and made some changes to the original post. I apologize for any offense and would welcome any more you might want to say about Michael, his life, friends, and family. Once again, I apologize. I’ll be happy to share a better photo of Michael if you send one to jackcameronis@gmail.com. I’m going to truly miss my big cousin will never forget all the times he made me laugh or we just sat and clowned each other…I will never forget you big cousin its hard to accept that you are gone !!! Thanks for sharing, Patrick. That’s what this page is all about. We remember those taken from Tacoma. And you’re right that we all have pasts. Thanks again for sharing. This is like my brother, he was funny, sweet and had an amazing heart. He will be missed by all who knew him. And I have great pics if u need one…. This is so sad. This is my nephew’s uncle my prayers go out to the Ward family. JR was the funniest man I’ve ever met. He was not only my best male friend, he was a listening ear and shoulder to cry on whenever I needed him. He was there for me when no one else was…he will truly be loved and missed……. Im gonna miss you Michael jr.I remember when we dated eachother back in the day and how i use to come over and kick it with ur sister and hole family and how u and zeek used to mess with me.. ! I remember how we all use to walk in a big crowd to speedy e and to the school across the street from your house and you use to play basketball with my brother albert … then the lastime i had seen you was when you was outside ur parents house workin on one of your cars and we taltalked for a second and i when and said hi to your mom and dad ! But whats crazy is that i just seen your mom and Michael sr. Not too long ago in renton and i had ask about you and mareish and its just so sad to know that someone so laid back, loving , caring ,sweet ,funny and loyal like you have to be tooken away from your loving family and friends. . But i know that your in heaven and we will see eachother once again ! I lost my brother randy in 2012 and then my dad last November 9! So i know your pain .. RIP Michael Jr. Love and miss hunny..
Jack.cameron dont take it personal, its touchy….the outside world see a, thug who had it comin but those that knew mike jr knew he was a diamond in the rough….if u had a bad day he could make u laugh, uf u needed and he had he would help….if u had an issue and were outnumbered hed help….truly a huge loss for everybody …TO THOSE on the outside lookin in never judge a book by the cover he was great people and my heart goes to his family, cuz i know how i feel and i was just a neighborhood friend. RIP brother we love u homie. BIG Smile! Happy go Lucky! A Natural at making people Laugh! and always Respectful to me is how I remember Micheal Jr. I am sad to hear this terrible news. My name is Charissa Lizama, my sons’ are Bernard, Jude, Jacob and Christian…The Lizama Brothers. I knew Micheal Jr. when I was the Cook, Teen Program Director and Late Nite Supervisor at Al Davies BGCA from 1992-1999. Those were the best years getting to know the kids/teens from the Tacoma Hill-Top Community. Thou he is gone in body his spirit and memories will be with all who knew him. I for one am honored to have had the pleasure to work for Micheal Jr his brother Zik and all the other young men and ladies here today from that generation. It was all of you that showed me what my second chance in life was and that is being an advocate for teens. It is my career today. It was people like Micheal Jr., Zik, Brandon, PJ,, Mikisa, Monique, Zakia, Kenny, Kerry, NiCole and Angela Rowland, my nephew Ray Sinclair my sons’ and the list goes on and on…all my one on one experience working at Al Davies Boys and Girls Club, came from all of you! It was your generation that made me the best at my career TODAY and I would not trade it for the world. I know it’s been years since I’ve seen Micheal Jr. nonetheless; he for one has impacted my life during a time when change was in order for me. This is why I will not forget him along with all the others from that generation. My thoughts and prayers go out to his Parents, Brother Zik, and the rest of the Family and Close Friends. R.I.P Micheal Jr. Ward…you will be missed! Rest in eternal peace Mike… I know your death will be avenged whether by man or by the hands of God. You were a good person. May all of our prayers be with you. Much love. I know Michael Sr. As a ultra squared away dude, From reading the comments, I am not surprised that his son, his first born, was like himself, loved by many. We live in Atlanta, Ga. And enjoy Michael Sr’s “over the phone” ministry geared towards showing our people the “real” truth about ourselves/themselves. I am sure his son would agree that he came from good “Stock” and would encourage all to make time each Saturday at 10am to dial 599-726-1200 /code 985805# to learn and grow in these current, perilous and hazardous times, especially for our people! My families, heart goes out to the “Wards” and other family members and friends who have recently lost a loved one.